Automated aircraft inspection systems have the potential to make aircraft maintenance safer and more reliable. But will they replace human judgment? Airframe technical inspection has one big problem. It’s boring—not boring in the way surly teenagers assert normal life is, but boring in the sense that it challenges human capabilities and limits. Airframe inspection is a vital part of safety related maintenance, particularly for pressurised transport aircraft. The nexus between pressurisation cycles and airframe fatigue is fully established, as is the understanding that because crack growth is exponential over time, there is only a short time between prominent cracks and catastrophic failure. Crack detection therefore becomes a precision job of immense importance, and the failings of human beings in this area have long been acknowledged. In 1989, the US National Transportation Safety Board investigated the Aloha Airlines near disaster of the previous year. In that accident a large part of the fuselage skin of a Boeing 737-200 separated, killing a flight attendant. Incredibly, the aircraft was able to land. Even if the temperatures were comfortable and the lighting was good, the task of examining the area around one rivet after another for signs of minute cracks while standing on a scaffolding or on top of the fuselage is very tedious. After examining more and more rivets and finding no cracks, it is natural to begin to expect that cracks will not be found. Further, when the skin is covered with several layers of paint the task is even more difficult. Indeed, the physical, physiological, and psychological limitations of this task are clearly apparent. Automating the inspection process is an obvious solution. A 1998 report by the Carnegie Mellon Research Institute identified five benefits of automated inspection systems in aircraft maintenance. Improved detection—the automated inspection system will consistently maintain a high probability of detection from start to finish. Improved repeatability—the robotic system will perform the inspection in the same way every time. Reduced aircraft downtime—the automated system will help an inspector complete more inspections per shift. Electronically retrievable inspection data—the system will keep a continuing record of the development of structural flaws for post-processing and analysis. Improved safety for inspectors—the use of robots to inspect hazardous areas will reduce risks to the health and safety of inspectors. Carnegie Mellon developed two robotic inspection prototypes in the 1990s, ANDI (automated non-destructive inspector) and CIMP (crown inspection mobile platform). Mobility and size were the weak points of these early designs, with ANDI using suction cups and manual deployment, and CIMP being restricted to the top, or crown, of an aircraft fuselage. German airline maintenance workshop, Lufthansa Technik, and Hamburg University of Technology have developed a robot-assisted procedure for the inspection of fuselage structures. The thermographic crack detection (TCD) research project ran from September 2011 to September 2014. Lufthansa Technik developed a walking robot with vacuum pads on its feet that allowed it to reach vertical and overhanging sections of the fuselage. The system is known as MORFI, the mobile robot for fuselage inspection. Thermographic crack detection uses a sensor head with two ‘exciting’ coils to heat metal surfaces with eddy current, and an infrared camera to detect the results. The video signal of the camera is recorded, allowing precise computer analysis of the surface later. As the test area is heated briefly with the coils, the temperature of the metal rises by just a few degrees. Cracks in sheet metal have a highly distinctive temperature profile during heating and cooling, and are easy to spot during analysis of the video. The inspection cycle for one 25 cm by 24 cm chemically milled fuselage pocket takes fewer than 30 seconds. 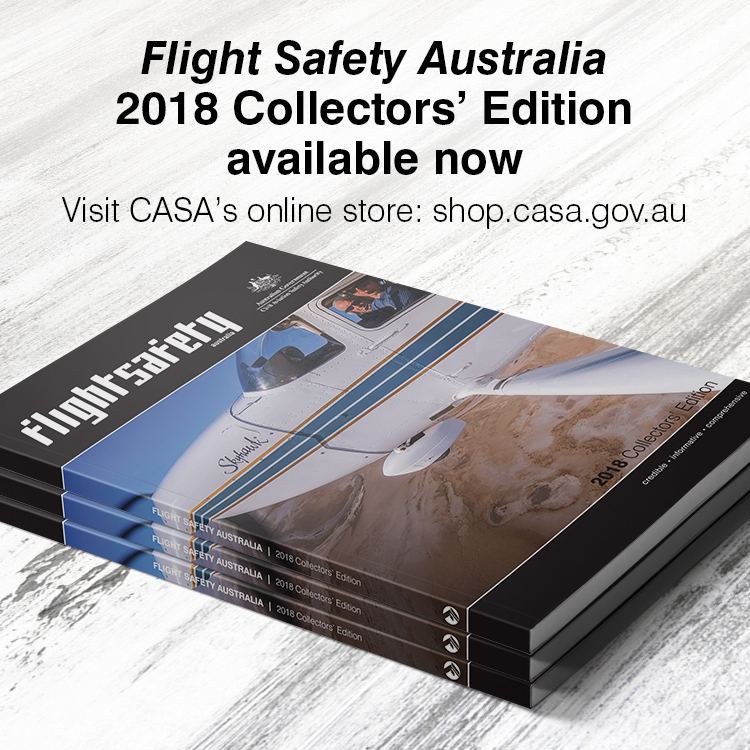 Lufthansa Technic project manager of innovation, Stefan Mehler, told Flight Safety Australia a follow-up to the original project was underway. The ‘AutoPro1’ research project would investigate enhancements to the robot design, including reducing its 75 kg weight, analysis of the automation potential of the Lufthansa fleet, and ‘other use’ cases, including aircraft washing and polishing. Development of a robot navigation system and examination of alternative robot concepts would also be investigated, he says. ‘The target for the next generation is to be lighter, smaller and faster than today’s demonstrator. This can be reached by usage of different materials and evolution of the architecture,’ Mehler says. But he cautions it would ‘take some years to industrialise a mobile robot to the shop floor level,’ and meanwhile, there is also the prospect of the robot being out of a job. 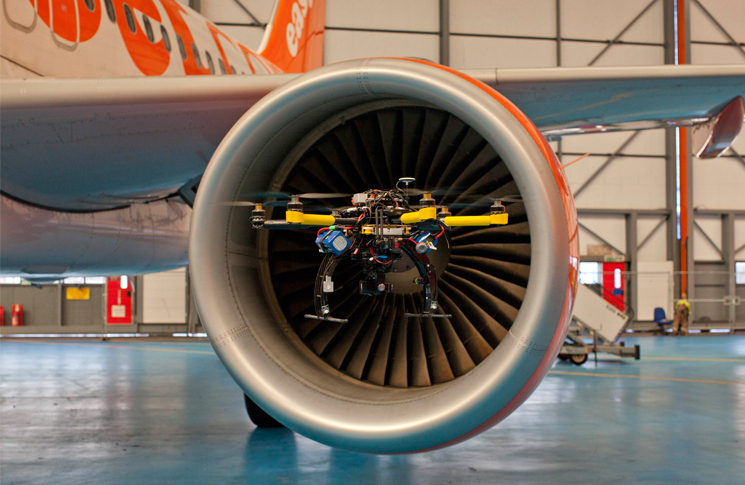 British low-cost airline easyJet is working with the Bristol Robotics Laboratory to develop a combination of technologies: inspection cameras mounted on quadcopter drones. The plan is to use the drones to scan and assess easyJet aircraft and report damage to engineers, who make the final decision on airworthiness. ‘Aircraft inspection is a great application for drones,’ the head of aerial robotics at the Bristol Robotics Laboratory, Arthur Richards, says. The drones will be fitted with high-definition video cameras, and lasers to scan the outside of the aircraft, easyJet head of engineering, Ian Davies, told the BBC. 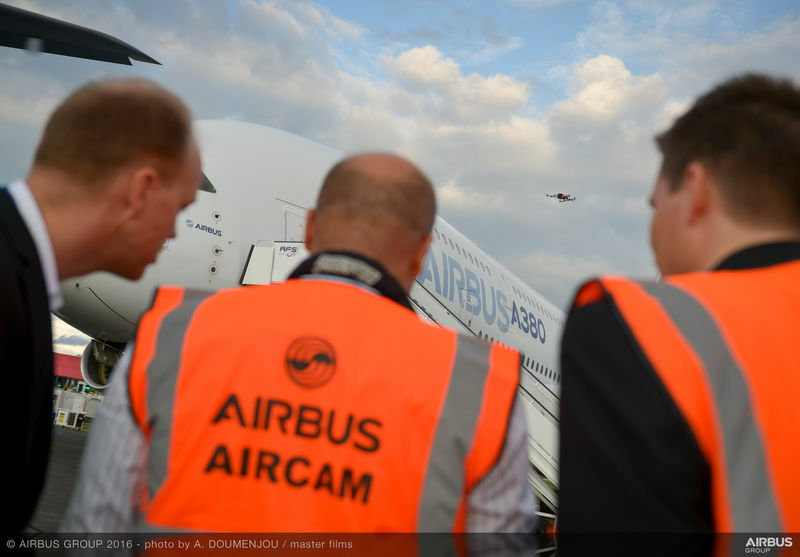 In June 2015, easyJet successfully completed an automated drone inspection of one of its aircraft. ‘The tests prove that pre-programmed drones could help reduce the number of hours an aircraft is out of service, after events such as lightning strikes, compared to manual inspection,’ the airline said, adding that it aimed to bring drones into service in its engineering bases across Europe within 12 months.